Okemos-based Sakor Technologies Inc. has supplied a test system to be used to assess the atmospheric flight control system for a private-use spacecraft under development for future low-Earth orbits. The spacecraft, called Dream Chaser, can land on commercial airport runways, and is launched vertically via an Atlas V rocket. The Southwest Research Institute was contracted by Sierra Nevada Corp. to design and build the atmospheric flight control system. Beattie says the institute selected Sakor to build a test procedure to exercise the spacecraft’s new control system and simulate flights. The system tests overall design performance as well as the response to physical forces. 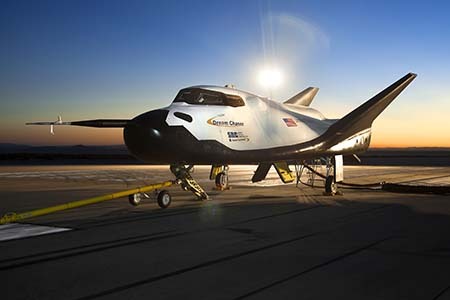 Dream Chaser features seven control surfaces and the Sakor-designed test system features seven dynamometers, each simulating dynamic loads on a specific control surface.